They won't tell us how much they cost though. 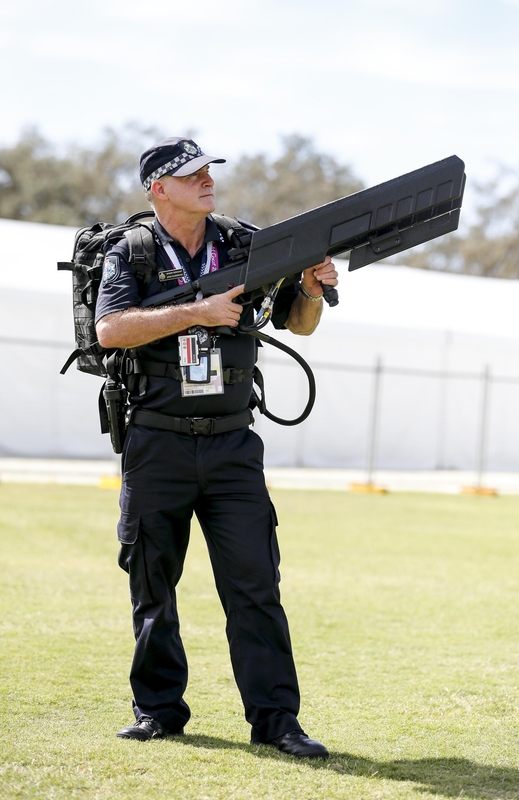 Queensland Police have been given giant drone guns ahead of the Commonwealth Games in April, and have apparently already used them to take down a drone. 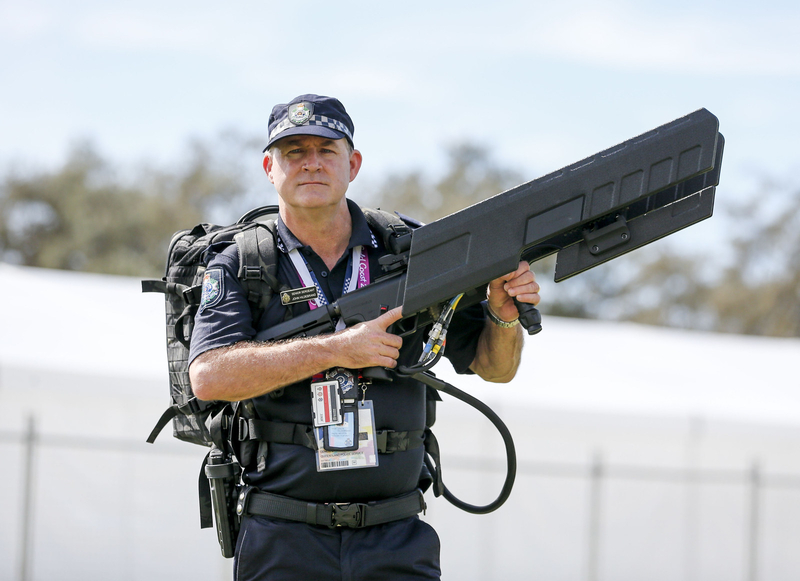 Police officers showed off one the guns at a media event on Monday, ahead of the Games commencing on the Gold Coast next week. The "DroneGun Mk II" works by jamming the radio signal that controls the drone remotely. DroneShield, the company that manufactures the gun, said when the signal is jammed, most commercial drones either fly back to their starting point, hover in the air, or land on the spot in a controlled way, rather than just dropping from the air. The gun also interrupts live cameras on drones for say, if people wanted to broadcast what was happening at the Games, in violation of the rights held by the broadcast partners. Politicians already like getting their photo taken with the gun. Police yesterday said that one drone had already been discovered "within a few hundred metres" of a special exclusion zone that has been set up specifically for the Commonwealth Games. BuzzFeed News first asked Queensland Police how much it was paying for them, or if there was a contract released specifying the cost of the guns, but was told that the cost was considered "commercial in confidence" and could not be discussed publicly. 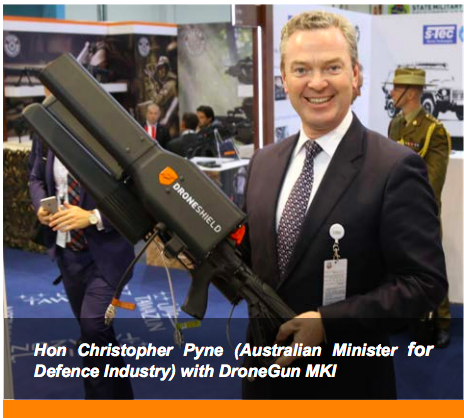 "Unfortunately we are unable to confirm the cost of the drone guns as it is commercial in confidence," a spokesperson said. Then we asked DroneShield CEO Oleg Vornik, who said he couldn't tell us the value of the deal but said the drone guns cost "tens of thousands of dollars" per gun. "Unfortunately we cannot comment on commercial arrangements with our customers," he said. "The cost of DroneGun is in order of tens of thousands of dollars per unit." So while they're keen to show off these shiny new giant gun-looking things, for now we don't know how much (if anything) taxpayers are paying for it.